ePublishing Knowledge BaseePublishing Knowledge BaseePublishing Knowledge Base User Profiles and Registration FormsHow do I turn on or off the user registration email? Now, you can send a welcome email automatically when someone registers on your site. 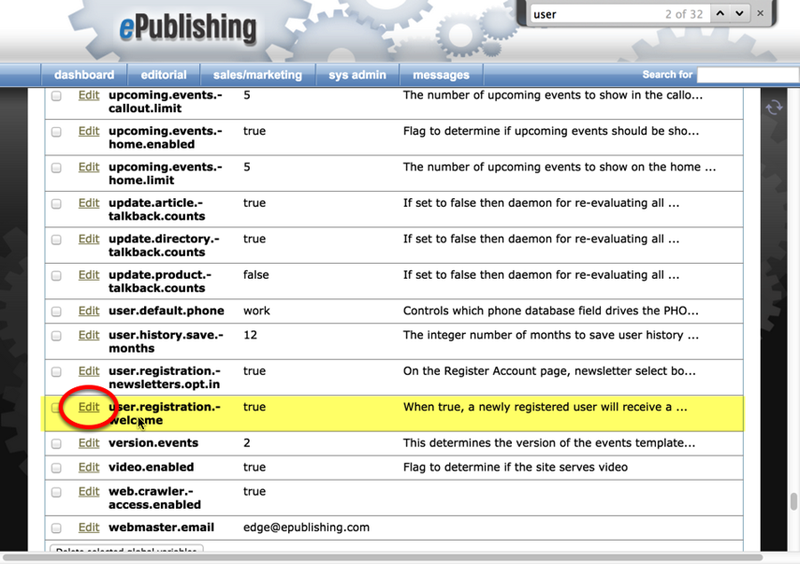 The message acknowledges the registration and includes a reminder of the user's login and other account management information. Acknowledging or confirming registrations is an important step in retaining new subscribers and encouraging account management. Best of all, you can tailor the message to your audience. To learn how to set up a welcome email, read this article: How do I send a welcome email to new registrants? 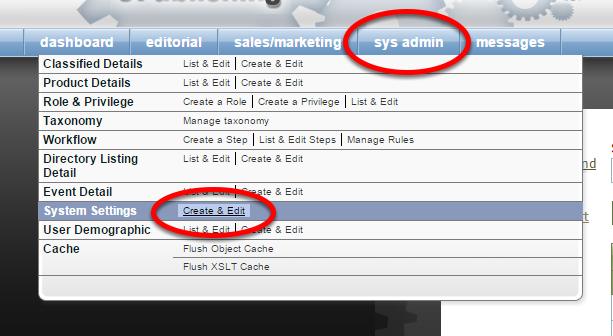 Access the Sys Admin menu in your ePublishing tools dashboard. Scroll down and select Edit next to user.registration.welcome. Zoom: Scroll down and select Edit next to user.registration.welcome. When this is set as "true," a newly registered user will receive the email. When it is set as "false," the email is not active. Update the Value to "true" if you want registered users to receive an email. Set it at "false" if you don't. Do NOT change the Name of this setting. 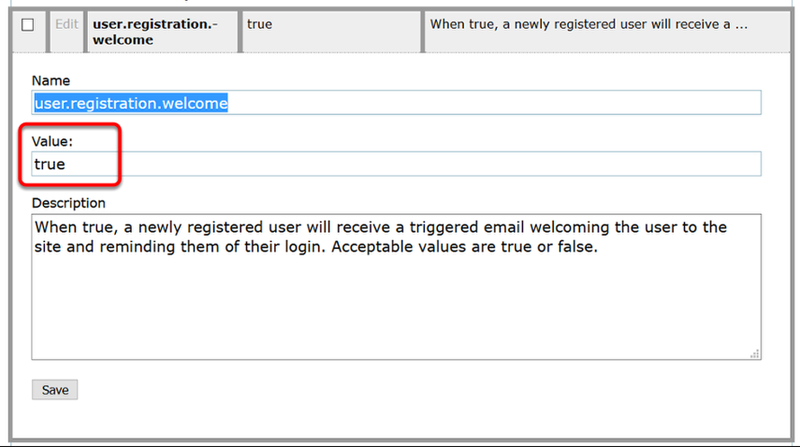 Zoom: Update the Value to &quot;true&quot; if you want registered users to receive an email. Set it at &quot;false&quot; if you don't. Edit your welcome email in the Editorial Content Manager. To learn how to set up or edit a welcome email, read this article: How do I send a welcome email to new registrants? Create a registration on your site using an email address you can access to see how the message looks. Make adjustments to language and formatting until you get the look and feel you are looking for. Prev: How do I restrict individual video or audio files from being downloaded on the Purchased Content Page? Next: How do I add a subscription to a reader's profile?